Competition In Australia Electricity Retailing – A Massive Fail? Electricity prices in four Australian capital cities have almost doubled over the past ten years. Competition in electricity retailing simply hasn’t delivered what was promised: lower prices. A new report from the Grattan Institute says competition is also yet to deliver the promised innovation in customer service. While competition should have put downward pressure on prices paid by electricity users and led to a greater range of choices of products; in reality it hasn’t happened. In Sydney, Melbourne, Brisbane and Adelaide; prices have almost doubled over the past decade. In New South Wales and Queensland, price increases were driven primarily by big spending on poles and wires, the situation in Victoria is quite puzzling as it didn’t have the same cost pressures. Green schemes can’t be blamed either as they now account for only 7 per cent of a Victorian customer’s bill. The report states the profit margin for electricity retailers in Victoria appears to be about 13 per cent; which is more than double the margin regulators traditionally considered fair. 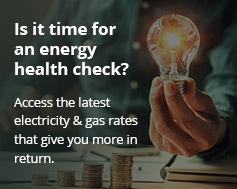 The authors believe Victorian households could save around $100 per year if the profit margin of the state’s electricity retailers was the same as for other retail businesses. It all becomes too hard and many consumers just give up trying to find the best deal. It’s not as though there aren’t options for true innovation. The report gives the example of solar power and battery storage potentially presenting opportunities for more productive competition in the retail electricity sector. While stating it’s too early to give up on competition, government intervention may be required if the situation doesn’t improve soon. “The industry is on notice. We may yet see fairer prices. We may yet see real innovation. But if not, governments will have no choice but to return to price regulation,” state the authors.